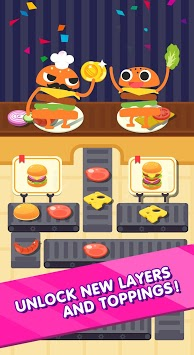 The simple and addictive burger making game 🍔Burger Tapper🍔 allows you deliver delicious burgers with simple tapping. Just tap and hold the screen to add layers of your burger on the plate. Then finish the burger by releasing your finger from the screen. 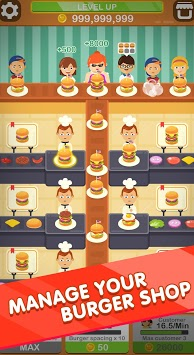 👆🍔👆 Simply tap to upgrade your burger business! Try and see how fast can you deliver those burgers to your customers. 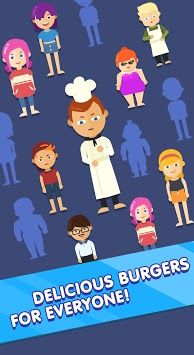 Be the burger master in this idle burger making game!